Full-bodied and intensely sherried with a syrupy mouth coating texture. Treacle toffee, chocolate and maple syrup soak into the palate, carrying the tingly warmth of nutmeg and ginger spices, tangy orange marmalade and dates, leading to a long, deep finish of raisins, caramelised toffee and liquorice. 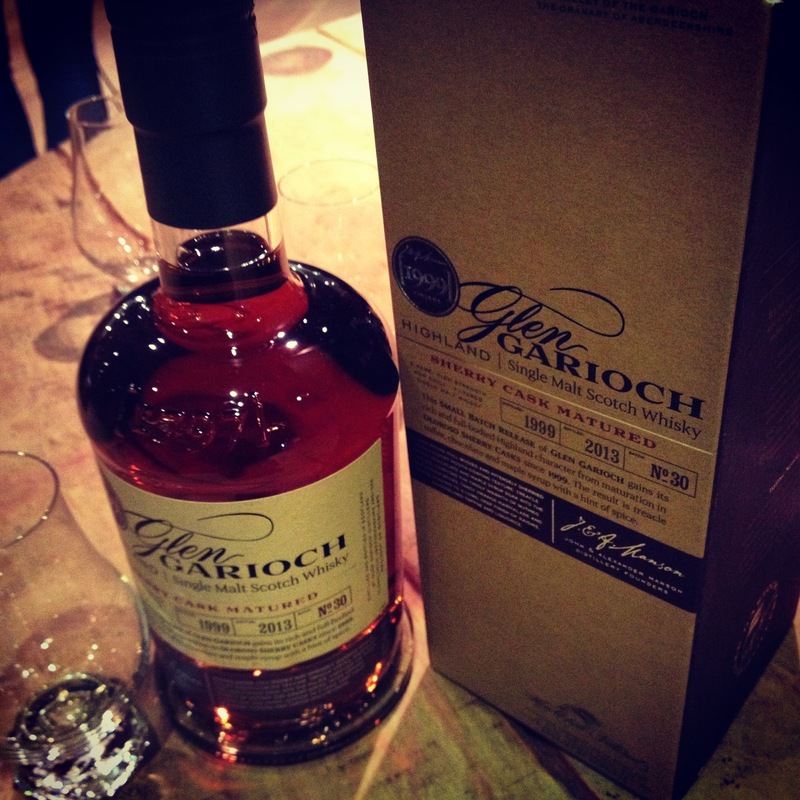 Dram #4 at the WOLS Burns Tasting 22/01/2015 was this 1999 vintage from Glen Garioch. Matured for ~ 14 years in Oloroso casks. 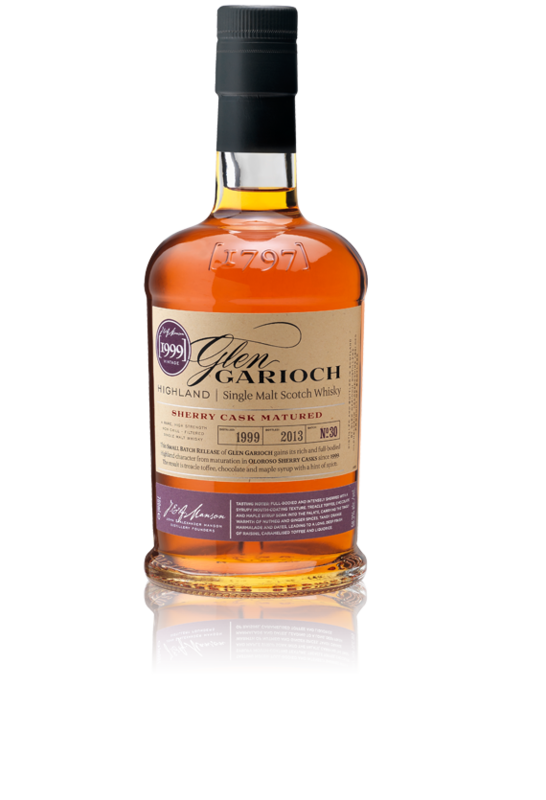 Another fantastic sherried dram, this time from the Glen Garioch distillery in the highlands and bottled as a year vintage (1999) as opposed to age statement. Sadly paled fractionally, when compared to the preceeding BenRiach BenRiach 15 Years Old 1999 – PX cask ~ 55.4% (BenRiach & GlenDronach Distilleries) . This one is a small batch release with 100% Oloroso sherry cask-maturation.